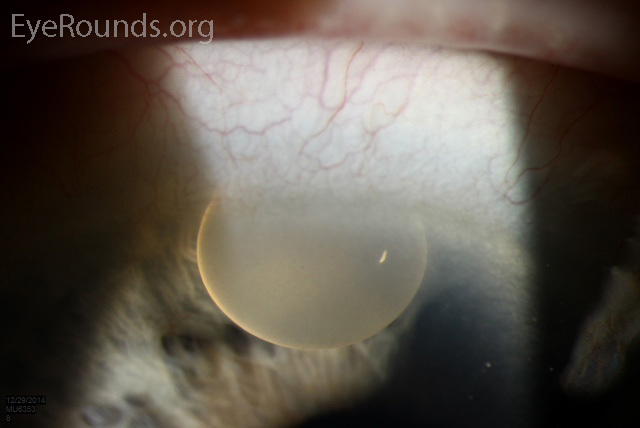 A patient presented one month following uncomplicated cataract surgery due to the presence of a buoyant tan substance in the anterior chamber which was present since postoperative day one. This was felt to represent Maxitrol® ointment wicked through a short wound into the eye. Remarkably, there was no anterior chamber inflammation. 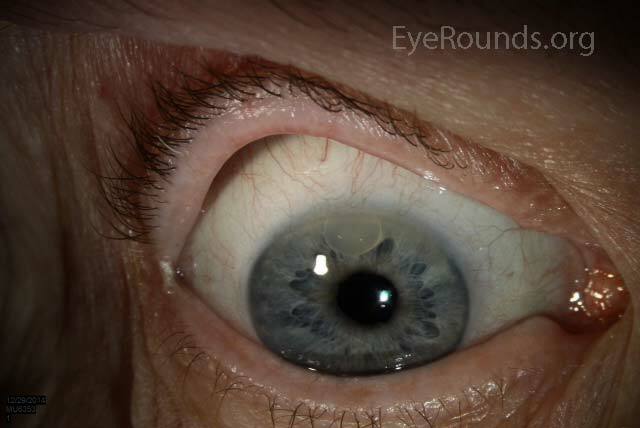 The patient was taken to the operating room and the prior clear corneal incision was used to burp the ointment from the eye followed by irrigation of the anterior chamber.